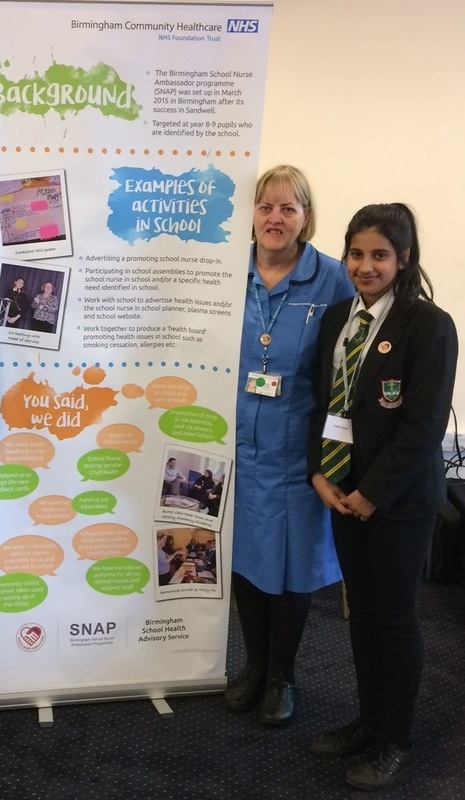 Three of our Year 9 students recently attended the Birmingham School Nurse Celebration Day with our School Nurse Mrs Cathy Burke. The event was organised in order to celebrate the work the students had completed in liaising with Holy Trinity’s School nurse and promoting the work of the School Nurse Advisory service. The girls had been part of the Birmingham project involving 14 secondary schools throughout the borough. An appointment can be made to see the school nurse at the main reception desk in St. Michaels building. 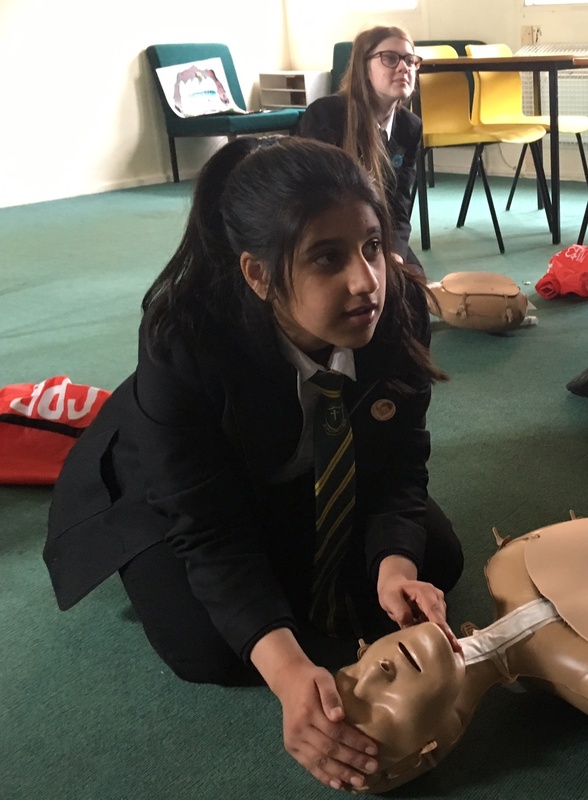 Following on from their award ceremony, our girls participated in the ‘British Heart Foundation’ – Call Pull Rescue CPR training and will be supporting in CPR training with different year groups in this new initiative. We are very proud of their hard work and efforts to raise awareness and thank them for all they have done this year. The girls have been ably supported by Sue Mason our Medical Lead within school who has done a tremendous amount of work to support not just the School ambassadors but in treating all our students with care, compassion and great empathy. Our thanks also to Mrs Cathy Burke for her constant support and advice.